MOORHEAD, Minn. - A Minnesota medical examiner on Thursday ruled the death of a North Dakota State University student who went missing last weekend a homicide. The Ramsey County medical examiner's office said Thursday it had determined that Thomas Bearson, 18, of Sartell, Minnesota, died as the "result of homicidal violence." Bearson's remains were found Tuesday outside an RV store in south Moorhead. He was last seen at a party early Saturday in Fargo, North Dakota. Police in Moorhead said Bearson was wearing a blue baseball cap, blue Sartell High School track and field shirt and khaki shorts. It's unclear whether law enforcement authorities have identified a person of interest. Shortly after the body was found, Fargo Police Chief Keith Ternes said police weren't looking for any suspects. The investigation into Bearson's death is a collaboration between the Moorhead and Fargo police departments and the NDSU campus police. Authorities are asking for the public's help to locate Bearson's cellphone and a shoe. Police described the missing items as a white Nike Air Jordan left-foot tennis shoe, size 9 ½, and a silver iPhone 5. 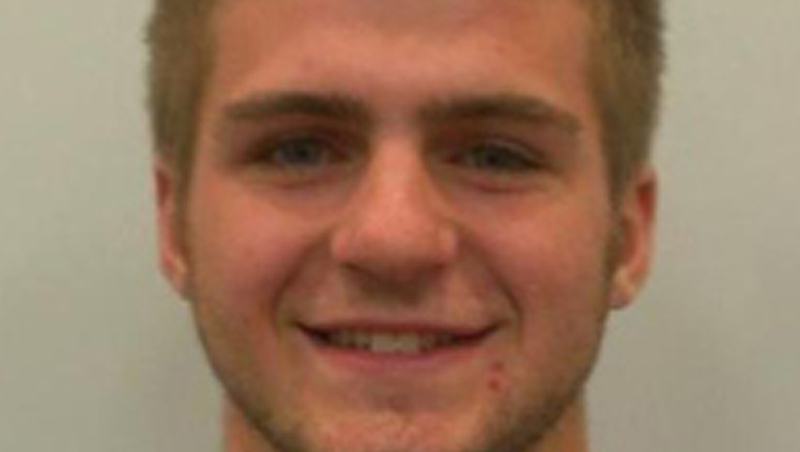 Bearson, who was enrolled in the university's nursing program, was living in a residence hall on campus before his disappearance. He graduated earlier this year from Sartell High School, where he was a standout basketball player. Sartell athletic director John Ross heard the news while at a school athletic event Thursday night when a reporter called, the St. Cloud Times reported. "This is going to be tough on the kids," Ross told the newspaper. People with information are asked to call the Red River Regional Dispatch Center.